• Business litigation and business disputes involving breach of contract, invoice disputes, promissory notes, construction agreements, commercial accounts, sales of goods and services, real estate leases, collection claims, small claims, and other related matters. • Consumer law and debt defense for debt collection lawsuits. 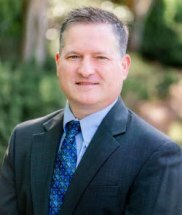 Our managing attorney, Richard F. Evins, has over 22 years of legal experience, and he has successfully handled hundreds of cases in the Magistrate, State and Superior courts in Georgia. Our team at The Evins Law Firm, LLC, can help you resolve your dispute no matter how complex or challenging. To get more information about your specific situation, call today for a free initial consultation.